Seal kit for 1377 & 1322 Air Guns. Includes everything you need to reseal your airgun plus a tube of oil and an exploded drawing. Beware of lesser quality seal kits! Our seal kits are guaranteed to work. If you cannot repair your airgun yourself you can send it to our Authorized airgun repair center for repair, and we’ll deduct the cost of the seal kit you purchased from the total on your repair. Proof of purchase is required, so keep your order number handy. This is not a cheap “O-Ring” kit. 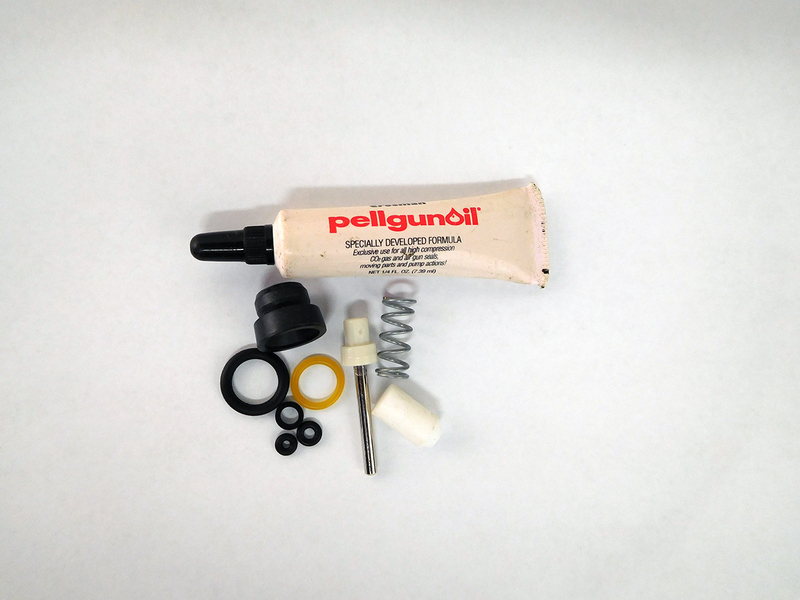 It’s a seal / re-seal kit made with parts closely resembling the originals needed to actually reseal your airgun to restore power. If your airgun leaks CO2, air, or isn’t shooting as hard as it should our reseal kits will get them shooting good again when properly installed.